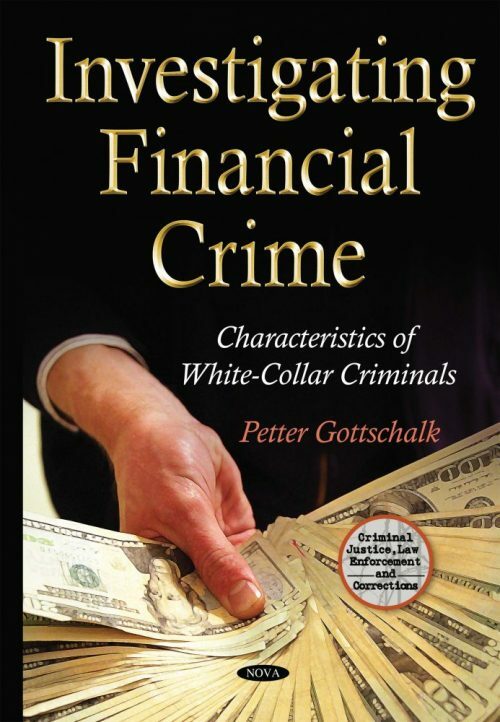 This book presents descriptions of theories about white-collar crime offenders and offenses. A case study is developed from a sample of 369 white-collar criminals generated by extracting newspaper stories and supplemented by court records. Numerous approaches to white-collar crime are organized and applied to the database. Theories are cataloged and tested against empirical data. The main aim of this book is to present a framework for a general theory of white-collar crime based on a number of sub-theories. Over the years, from research done on white-collar crime, three major characteristics have been attributed. First there is economics, where non-violent acts are committed for financial gain. Next there is organization, where offenders take advantage of professional authority and power to commit crime. Finally, there is behavior, where a number of deviant personality traits are often found. Criminal investigation is a procedure or method for reconstructing the past. Its purpose is creating an account of what has happened, how it happened, and who did what to make it happen. Private investigation cases are evaluated based on a number of theories and criteria. The success or failure of a private investigation can be measured at different stages in the process: basis for initiation of investigation, work methodology, investigation results, and investigation consequences. This book presents case studies of private investigation reports by financial crime specialists and fraud examiners. Audience: Business schools (financial crime), departments of criminal justice (criminology), police academies (investigations), and auditing firms (forensic accounting).